The PDA determines people’s Behavioral Profiles, is scientifically verified to have a 90% reliability rate, has ISO9001 certification, meets U.S. EEOC requirements and is internationally validated by AIOBP. Try the free sample report here. Individual and or group development. Job recruitment, profiling and matching. The PDA has been scientifically verified to have a 90% reliability rate, has ISO9001 certification, meets US Equal Employment Opportunity Commission requirements and has been internationally validated by American Institute Of Behavioural Psychology. View a detailed sample report here to see what information you will receive when purchasing this product. 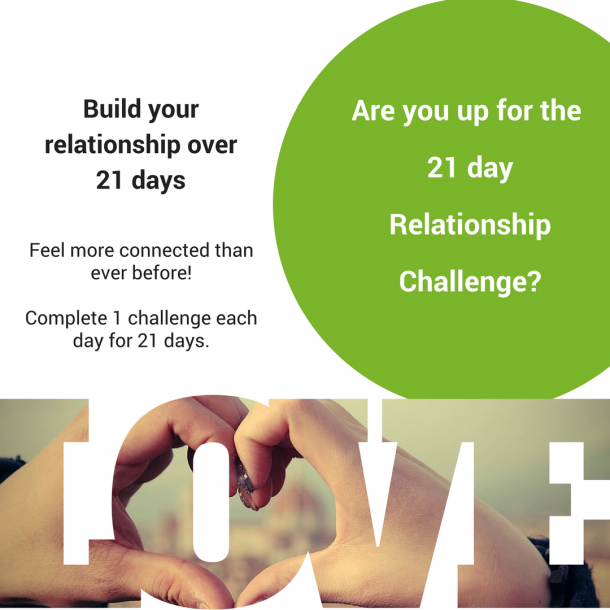 Build your relationship over 21 days and feel more connected than ever before. Complete 1 challenge each day for 21 days. Sign up to receive your daily challenge. Thank you for signing up to the challenge, your first email is on it's way! Is it really abusive behaviour?